Click on the thumbnails below for larger images. All photos by Dan Burn-Forti. I enjoy playing villains. It’s very difficult in many situations to know who the villains and good guys are. People tend to think in black and white, and, of course, we are all gray. My Alfred [Batman’s faithful servant] is a slightly different weight and color than previous Alfreds. One has a feeling that he has training; he’s a good security man, technician, mechanic. He may not make the best martini, but he can get the Batmobile on the road, which Bruce Wayne needs. Has been married to actress Sinéad Cusack since 1978. 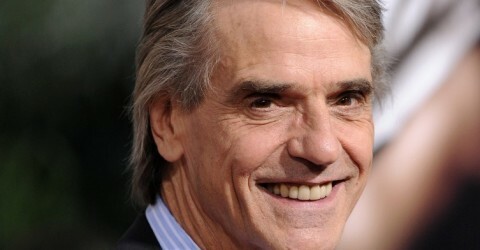 Won the best actor Oscar for his 1990 role as Claus von Bülow in Reversal of Fortune. A sailor since age 5, he keeps a 29-foot gaff-rigged ketch next to his home in Ireland. I get fussier as I get older. I realize there are not as many years ahead of me as behind me — so you begin to think in terms of making the most of your time. I tend not to work for such long periods on films now, so I get more time to myself. Still, I have to remind myself that it’s not necessary to work as hard as I sometimes do. My elder son, a photographer, opted not to go into the business. He didn’t like the public judgment of actors or the fact that his father was known by people he didn’t know. My younger son is an actor and takes refuge in the certainty of imagined characters. He is very comfortable when he is in someone else’s skin. My father advised me not to get involved in politics, so I skirt around it. But environmental subjects I have concentrated on; I made a documentary about global waste called Trashed. I worry about genetically modified food because it alters the balance of things. The prison system concerns me. I feel we lock up too many people without caring how they will be when we let them out. I can make up excuses for why I wore sneakers to the Oscars. They weren’t actually trainers; they were a little smarter than deck shoes and had a thin sole. They were black and white, which is what I was wearing on the rest of my body. There’s a nice feeling of keeping your feet on the ground when wearing shoes with no heel, which maybe is an important thing to do on Oscar night. I feel as confident on my motorcycle as I do on my two feet. I call it my urban horse. The joy of motorcycling is real freedom and being in touch with the environment — the road circuits, the temperature, the wind, the smells. It’s a wonderful sensory experience. 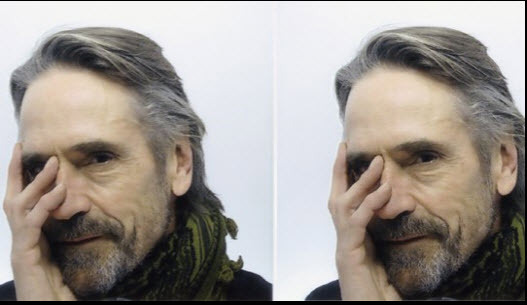 Jeremy Irons will appear in Race, The Man Who Knew Infinity, Batman v Superman: Dawn of Justice and Assassin’s Creed this year.